Rent a yacht exclusively and sail around in Lofoten, hike in Lyngen Alps or go all the way up to North Cape. Your choice. Sailing thru the land of glaciers and polar bears. A place of history and great importance. Ski & Sail in Lyngen Alps! Each season in the Arctic has its own special features, you will always find new adventures. Whether you are a dedicated sailor seeking the freedom of exploring the fjords, a couple longing for relaxation and comfort under the Northern Lights or a group of adventurous travelers wanting to explore the highest tops or deepest waters, you will find Norway’s largest sail charter operator offering all year round life changing experience from Tromsø, Lofoten & Svalbard. To get the best experiences you need time to think, enjoy and take in the scenery. With groups of up to only 10 people including crew you get a chance to experience the nature in an intimate and authentic way. All our skippers and guides are certified and well experienced in the areas we travel, in order to ensure your safety and comfort during the trip. Your wellbeing and safety is our NR 1 priority. 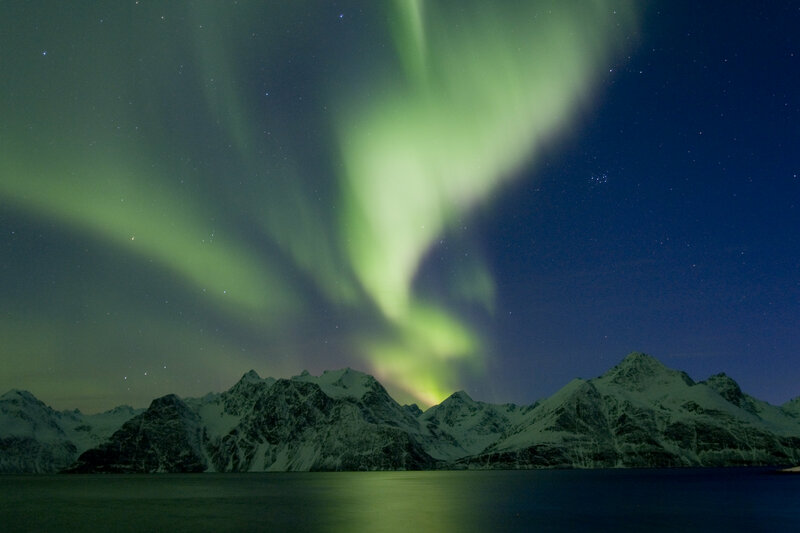 We are so proud of our magnificent area and strive to show you the real gems of Arctic Norway. We want you to get the real sense of the nature, the culture and the people who live and love here. When traveling with Boreal Yachting you may also tailor your trip to meet your every need. Thanks for everything!!!! We chartered the Arctic Ice for a week with boreal yachting, a 2012 Delphia 47′ sailboat. Boreal arranged for a great ski guide that traveled with us. There was amazing skiing peak after peak after peak in the lyngen alps. Ski touring started from quaint harbor villages and from the barren shore on a dingy. We also had Boreal cater the food. Fully stocked fridge with local salmon and even a night of reindeer cooked on board. After epic days of powder skiing we also caught the northern lights. This was a trip to remember. Whatever you can dream up Ivar and Espin from Boreal will make every effort to deliver! Went on a day whale watching trip with a family of 5 ages 22-60. Was an amazing experience and day. There was only another couple on our trip so it felt very intimate and we were glad we didn’t pick one of the bigger boat trips as the catamaran was able to get closer to the whales than the engine boats. The boat was lovely condition… ….The boat journey itself was amazing and the views spectacular and we were lucky enough to see a lot of humpbacks breaching and swimming near the boat. It was a lovely, intimate experience that we will never forget and I would happily repeat it and would recommend this strongly to anyone going to tromso!